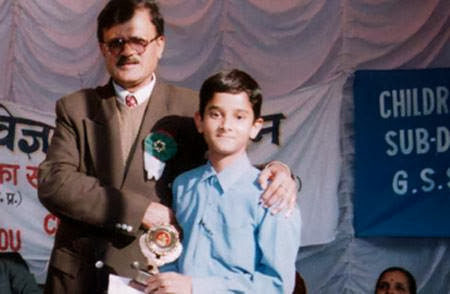 Akrit Pran Jaswal (born April 23, 1993, Nurpur) is an Indian adult who was a child prodigy as a surgeon. He performed his first surgery at the age of seven. An early developer, Akrit was walking and talking by the time he was 10 months old. He was reading and writing by two, and reading Shakespeare, in English, by the time he was five, and is now talking about his theories for oral gene therapy in the fight against cancer. Akrit Jaswal had a reputation, in the region, for being a medical genius. He has been shown to have an I.Q. of 146, the highest I.Q. of any boy his age in India, a country of over one billion people. He has been sponsored and mentored by Mr B. R. Rahi the Chairman of Secondary Education in Dharamshala. He is studying for a science degree at Chandigarh College and, at twelve years of age, is the youngest student ever accepted by an Indian University. Akrit may be famous but, will he be the one to unlock the secrets to a cure for cancer. He was invited to Imperial College, London to find out. He will spend two weeks based at Imperial College having his intelligence tested and talking super-mechanisms, genes and therapies with scientists at the cutting-edge of cancer research. Akrit must convince Professor Mustafa Djamgoz, a world-renowned research biologist, and his colleague Mr Anup Patel, a consultant urological surgeon, that his ideas are realistic and worth pursuing. This precocious young man is still convinced that he will find a cure for cancer.